This result has been at least half-expected ever since the ‘revision’ of sunspot numbers was announced. The phrase ‘desired outcome’ springs to mind. The Sunspot Number is a crucial tool used to study the solar dynamo, space weather and climate change, reports Phys.org. It has now been recalibrated and shows a consistent history of solar activity over the past few centuries. The new record has no significant long-term upward trend in solar activity since 1700, as was previously indicated. This suggests that rising global temperatures since the industrial revolution cannot be attributed to increased solar activity. The analysis, its results and its implications for climate research were made public today at a press briefing at the International Astronomical Union (IAU) XXIX General Assembly, currently taking place in Honolulu, Hawaii, USA. The Maunder Minimum, between 1645 and 1715, when sunspots were scarce and the winters harsh, strongly suggests a link between solar activity and climate change. Until now there was a general consensus that solar activity has been trending upwards over the past 300 years (since the end of the Maunder Minimum), peaking in the late 20th century—called the Modern Grand Maximum by some. This trend has led some to conclude that the Sun has played a significant role in modern climate change. However, a discrepancy between two parallel series of sunspot number counts has been a contentious issue among scientists for some time. The two methods of counting the sunspot number—the Wolf Sunspot Number and the Group Sunspot Number—indicated significantly different levels of solar activity before about 1885 and also around 1945. With these discrepancies now eliminated, there is no longer any substantial difference between the two historical records. The new correction of the sunspot number, called the Sunspot Number Version 2.0, led by Frédéric Clette (Director of the World Data Centre [WDC]-SILSO), Ed Cliver (National Solar Observatory) and Leif Svalgaard (Stanford University, California, USA), nullifies the claim that there has been a Modern Grand Maximum. Full Phys.org report: Corrected sunspot history suggests climate change not due to natural solar trends. Note: the ‘after’ version of the sunspots graphic appears in the above link. So generations of climatologists have been wasting their time analysing sunspots according to this. Not sure how it can be “recalibrated” as there is nothing to calibrate against, other than modern sunspot numbers. “Well it would ‘suggest’ that, wouldn’t it :/” Yes! Crucial indeed. Now need more money to re-evaluate the broken models! The industrial revolution didn’t start in 1700 anyway. The whole thing reeks of propaganda. Eyeballing the “new” chart it still looks to me like more area under the curve lately and slightly stronger peaks. The middle hump was pulled up but the peaks in it look sharper, like one or two data ponit making a spike. Looks to me like the claim of no modern maximum is over stated. More like 1850 not as low by a little and narrow peaky compared to now. Needs a math analysis to test that, though. How did I just know when I clicked on this sad story that the name “Leif Svalgaard” would appear? Dr. “Stamp it Flat” still hard at work…. To his shame, when faced with the results from SORCE, showing significant solar spectral variability, he even tried to stamp the UV record flat. (His work on that was laughable). Ultimately, his “it’s not the sun” game can’t work. CO2 cannot be the culprit. CO2 is a radiative gas, both capable of absorbing and emitting LWIR. Adding radiative gases to our radiatively cooled atmosphere will not reduce its ability to cool the solar heated surface of our planet. Dr. Stamp it Flat tries to hide behind the “TSI variance of 0.1% is too low to be the cause of recent warming” foil. But that claim is bogus, based on modelling that treats the surface of the oceans as opaque with near equal SW absorptivity and LWIR emissivity. Both of these assumptions are proved false by the simplest of empirical experiments. both tubs of water have the same ability to absorb SW radiation and the same ability to cool by radiation, conduction and evaporation. The only difference is the depth of SW absorption. When exposed to equal sunlight, tub A rises to a higher temperature. Don’t trust me? Sod that! Trust the traditional scientific method and replicate the experiment for yourselves. (The deeper you make it, the better it works).The physics is very clear, the deeper radiation penetrates a liquid that is only being cooled from its surface, the greater the heating effect. Which solar frequency penetrates deepest into our oceans? UV. Which solar frequency varies most over and between solar cycles? UV. And if you need a mechanism in line with David Evan’s “notch filter hypothesis”, energy gain/loss below the ocean thermocline would be a good place to look. Now what solar radiation penetrates that deep and shows great variability? Let me think now…. I tend to agree that there was no “Modern Maximum,” only the first two-thirds of the current run-of-the-mill 180 year Jose cycle which began in 1900 and brought a series of six cycles with progressively increasing activity (solar cycles 14 through 19), followed by another four reasonably strong follow – on cycles now ending, comprising the second third of the cycle. The final 60 years will be chilly, leading up to the next cycle beginning in 2080. After that cycle we will finally get to what we have all been waiting for, a Modern Grand Maximum beginning in about 2300 and lasting 300 years, comparable to the Minoan (1200 BC), Roman (1 AD), and Medieval (1100 AD) warm periods. Until then we will just have to be patient. Can origin of the 2400-year cycle of solar activity be caused by solar inertial motion? Yes! Please be careful of the word “caused”. Solar inertial motion seems to be caused by all of the orbital mass in near space wrunching around on “all” nearby other mass! The “dance” of the planets. Unobservable to all that think they know. If I wrote my assessment of LS, for sure it could not be allowed to pass moderation. It takes a tremendous amount of restraint to stop there. The modern maximum in solar activity occurred from June 1935 to Nov 2004, 834 months (69.5 yrs), when v2 monthly SSNs averaged 109, as compared to the previous 69.5 years, between Dec 1865 and May 1935, when the SSNs averaged 65.7, which was a 69.5 year 65.6% increase in sunspot activity. The modern maximum in solar activity occurred from 1935.5 to 2004.5, a 70 year period, when v2 yearly SSNs averaged 108.5, as compared to a 65.8 per year average for the 70 years between 1865.5 and 1934.5, which was a 70 year 65% increase in sunspot activity. Take your pick- monthly or yearly data, 69.5 or 70 years, and either a 65.6% or 65% increase. Any way you slice it, there was a modern maximum in solar activity that lasted for about 70 years, when the Sun was 65% more active in terms of sunspot activity than the previous 70 years. Dr. Svalgaard is very foolish in taking the position that his eradication of a higher trend since 1700 project somehow eliminated the modern maximum. Nothing he did changes the FACT that solar activity was responsible for “global warming”. The Sun caused global warming, it caused the ‘pause’, and it’s about to cause global cooling. NOTHING Svalgaard does or says will change any of that. I agree with https://tallbloke.wordpress.com/2015/08/08/corrected-sunspot-history-fails-to-find-modern-solar-maximum/comment-page-1/#comment-105218 100%. Paul Vaughan, your correlation is very interesting. Can you put it in a different format though? I mean an equation where average temperature is some function of solar activity. That would then qualify as an a priori prediction which is the holy grail of all scientific activity. Be careful. Everything is correlated with everything else when it comes to climate, this type of issue has driven many who attempt to find causality insane over the millenia. “solar activity appears to have remained relatively stable since the 1700s.” It doesn’t look that way to my eye. I literally could not be in the same room as LS, nor in the same room as anyone who would say anything positive about him. Yes equation can be done. The changes to sunspot numbers can and should be dismissed on the grounds of who had a hand in them: a shameless activist with a clear political agenda. The only agency I would share more information with is the Chinese government. The new SSNs should be considered dismisable because the most recent period of changes from 1980 to now are not well-correlated with F10.7cm flux as compared to the time previous to 1980. Now this is only a statement, that they wantonly recalibrated/modified historical records to better match the current AGW propaganda, that is in no way justified yet. Solar cycle length is also important. Shorter cycles tend to have higher sunspot numbers, longer cycles lower numbers. The last complete cycle was solar cycle 23 at 11.7 years, but of the previous eight (SC 15 – SC 22) only one (SC 20 at 11.7y) was greater than 10.5 years. In other words we’ve had a long run of mostly short solar cycles in the 20th century, and this is likely to change to restore the ~11 year average at some stage – which seems to be what’s happening now in the 21st century. Those longer cycles – if they take place – would imply lower solar activity on average than was the case in the 20th century, regardless of how sunspot numbers are measured. I used wikipedia’s solar cycle lengths from your ‘List of solar cycles’ link for over a year before I found out last month that they’re mostly wrong. If you search for each cycle by itself in their wiki, you’ll find that the cycle start and end dates don’t match some of the same cycle data from the ‘List’! And many of those are wrong too when compared to the ‘official’ list. Then I found the ‘official’ list here http://www.ngdc.noaa.gov/stp/space-weather/solar-data/solar-indices/sunspot-numbers/cycle-data/table_cycle-dates_maximum-minimum.txt. The only problem I found with that is they list max-min years in decimals instead of by month-year. Shows continuous decline from 2015 (58.9) to the end of 2019 (4.1) where the predictions end. If that’s correct solar cycle 24 would be about 12 years long by the end of 2019, the longest since the 1850s when the Industrial Revolution was starting. His behaviour has certainly been decidedly political, rather than scientific. Worse his attacks on every study or metric or person who disputes his claim that solar variability has no effect on climate typically use only his own studies and papers as their foundation. Even worse, LS seems so beholden to the academic power games he is unable, or unwilling, to see that peer review and journal publication is part of scientific/academic bureaucracy and is not part of essential scientific method. I too have been waiting to see if any data will be forthcoming on the SSN calibration, wrt the geomagnetic method Svalgaard says he used to determine older unobserved SSNs, on the post-1980 SSNs that I found don’t correlate as well with F10.7cm flux as pre-1980. His geomagnetic method involves correlating the diurnal change in the geomagnetic y-component with F10.7 and SSNs, as the geomagnetic y-component responds to the sunlight UV-induced ionospheric currents generated every day on the sun-facing side of the Earth. I want to see the same geomagnetic dataset that was used to calibrate older SSNs be used to calibrate them through to the present so we can see that the post-1980 changes reflected in v2 are right or not. This is by a man who thinks TSI only varies by 0.1%. That determination is bogus. It is based on SORCE TIM data from 2003 forward, when solar activity has been the lowest in 100 years! When you plot out F10.7 back to 1947 and overlay TSI with it’s minimum offset to the 2008/09 F10.7 minimum, any objective person who sees that will realize it doesn’t make sense that TSI would flatten out and stay within the same range (0.1%) that was measured from post-peak SC23 through SC24, when comparing SC24 to SC19, 21, 22, and even the peak of SC23, ie, much higher cycle peaks. A 0.1% variation is absolutely senseless. So do we take his word for it? I don’t. Either he has an agenda (funny how he always asks others if they have one!) or he isn’t as bright or competent as he and others think, or maybe all three. Last year he told me F10.7 was 14-day smoothed data, and TSI was daily. It is the exact opposite! TSI is measured every day, but we don’t see the data for today’s TSI for 7 days, because it’s smoothed over 14 days. F10.7 is measured and reported daily, with no smoothing. The last thing that gives me pause is there was a story about the release of the new numbers before they were released, where he and all the usual sycophants came around to bash anyone who dared question or assert that solar activity causes climate change. It was pathetic. Not one of the usual “skeptics” reserved judgment until they could see the numbers themselves. So they were not evaluating the data at all, just buying into it without question. I thought that was very odd. That’s a cult of personality for you! 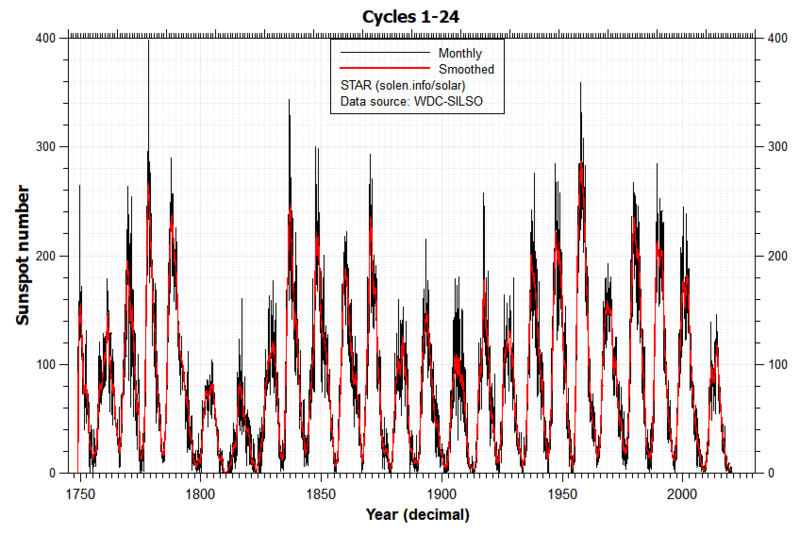 The differences may seem small, but when you’re trying to compare and contrast 24 solar cycle lengths, several changes of several months, or even one month either way changes those lengths, the SSN cycle averages, and for post-1947, F10.7cm cycle averages for any particular cycle, and those changes are important when comparing cycles to each other. Take one political activist with an agenda, add several scientists in search for more funding, stir well and you end up with an attempt to rewrite facts. This is an obvious move to try and pump up some doom and gloom for the Paris meeting as well as an attempt to get more research money – in other words a propaganda exercise. Unfortunately a lot of people will take this announcement from authority as true and not look at the reasons behind the change. Anything that is changed that has climate change in the reason is immediately suspect and should be looked at with great care. While I know little about solar activity (most of it being learned from this site) I do know as an engineer that you don’t change data to fit your theory, you change your theory. When people refuse to change their theory when faced with real data to the contrary it shows that those people are seriously misguided or even paranoid and everything they say and produce should be considered junk science. I outlined the geometry in a document called ERSST EOF 1234. The geometry illustrated in ERSST EOF 1234 is dead-simple, crystal clear, and based ONLY on the 2 heat engines (semi-annual equator-pole & annual interhemispheric). Faced with such clarity based on something REAL (simple heat engines), corrupt authorities panicked into full-on incremental history rewrite. With each increment of rewrite the aim would be further distortion of that which was clear before increment #1. But fortunately the evidence of what they did to ERSSTv4 is pulverizing. These people are suicide bomber political activists with a cause SO great. Some of them are also smart scientists. That makes them dangerous. They haven’t retracted ERSSTv4 despite their full awareness of the fatal flaw. The severe hubris probably guarantees a that a lot of damage will be done before they’re corrected. Is there a superior way to concisely convey the information summarized in the top panel by the combination of the thick black line & the roman numerals? They could contract me to do it. It would be easy. They’ll probably get stuck or persist until they have some success distorting it by trial-and-error. Actually I’ve seen no evidence that they have even the foggiest clue about how to measure SCL, nevermind how to systematically distort it in one clean go. …But for those of you for whom this is somehow some big deal, be aware that there’s NOTHING more crushing you could do than hammer them viciously with what I’ve illustrated about ERSSTv4 bias. If they haven’t retracted v4 by then they literally deserve h*ll. They’re progressively d*mning themselves exponentially with each day they refuse to retract. Someone should write up a killer article and unleash it like a baseball bat attacking brittle NOAA glass. It will be fun to watch. Just credit me clearly UPFRONT for being the first to point it out …but by all means otherwise go to town with pulverizing reach to a wide audience with a DEAD simple message. Maybe time the release date strategically to maximize embarrassment …and take the time between now & then to really carve the narrative for maximal devastation. Some wealthy patron should sponsor a stellar communicator to exact the fatal blow. Historically this will be a prime time highlight of the climate war, so this might as well be done well. My role in all this? An arms dealer it seems. I supplied the weapon and the ammunition. Someone ELSE can use it…. Well but it does not mean at all, that we should stop to protect nature and environment, because SOME of arguments of proponents of earth-friendly change in our behaviours were false…?! Do you see that cheap cheat of IPCC, meant to correct terrible human treatment of environment? What if it was a cheat of a cheat – throw in some false theory, than later let it be disproved and we are perfectly alibized from any future corrections…? Fig. 2 on page 3 of Jasper Kirkby’s paper shows the correlation of Be10 and C14 with temperature. FAQ: Will the original Sunspot Number data series (V1.0) be continued in the future? The new way of counting sunspots changes nothing. The simple fact is (as so many has been pointed out on this site) the fact the sun last century especially 1940-2000 was much more active then any other time since the Medieval Solar Maximum and further was GREATLY more active in contrast to the Maunder Minimum and Dalton Solar Minimum. In addition the metric that measure the magnetic activity of the sun shows beyond a doubt a major upward trend in that metric through out last century. In other words that metric much higher toward the end of the last century versus the beginning of the last century. 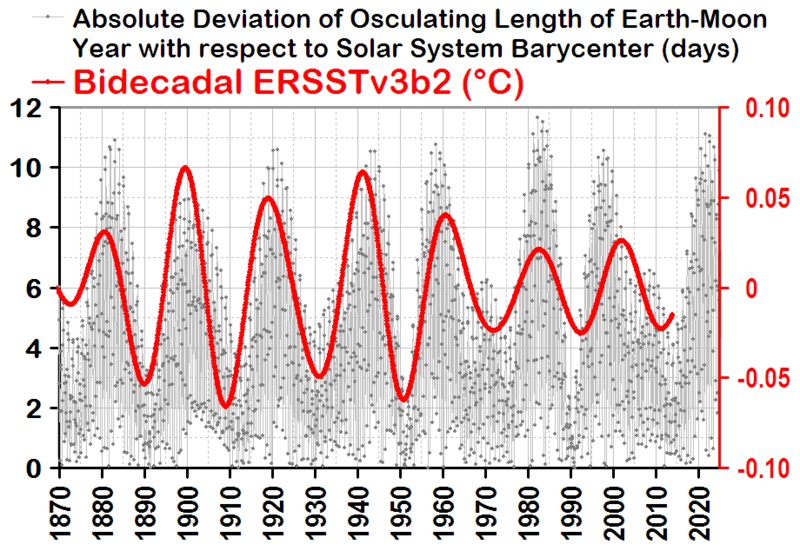 Leif, is full of BS and his crusade trying to disconnect solar /climate relationships based on his latest ASININE adjustments to the sunspot records is an exercise in futility when it comes to trying to prove on solar /climate relationships. It does absolutely nothing to give any credence to that sort of a conclusion. Dream on Leif ,who really knows next to nothing about earth’s climatic system and how it works. He is quite ignorant when it comes to the science of climate and have bested him on this topic each and every time I have engaged him on this topic. He should stick to his field (astronomy) and not get involved in the field of climate science, a field which he has demonstrated complete ignorance in. Bob Weber says which says it all. Paul says which is 100% correct. They cannot (yet) justifiably eliminate the obvious downturns in sunspot numbers which occurred at the Dalton and Maunder Minimums and which coincided (surprise, surprise) with a drop in global temperatures. So, they’ve gone for the next best thing; eliminate the upward trend in sunspot numbers since 1750 by erasing the modern Solar Maximum, so those pesky sceptics can’t lay claim to the Sun having anything at all to do with the long term upward trend in temperatures since the start of the Industrial Revolution. Then hold a public meeting to announce it to the world ahead of Paris 2015. What is it with Svalgaard? I can’t work him out. He has an overwhelming manic obsession with disowning the Sun totally from any influence on climate, not just now, but in the geological past. Did he get really bad sunburn as a kid maybe and resolve to get back at the big yellow fiery ball in the sky anyway he could? What happens if you double the height of the graph height? Which solar frequency penetrates deepest into our oceans? UV. Thanks a LOT for that. I knew about SWs generally but was unaware UV penetrated deepest. I asked Svalgaard some questions on the SILSO V2 sunspot record but received little information. The Sunspot record has now been lost. I dont like how the Wolf values 1840-1870 were overridden based on one paper comparing sunspot areas. The Wolf/Wolfer relationship has now been lost. I also dont like how he has changed the Waldmeier factor after 1981, it seems to be based on his assumption that SILSO is undercounting since 1981. He uses his own F10.7 flux reconstruction to verify his claims. But the post 1947 record is not discounted enough which may upset some, it should be a 20-22% reduction from 1947, but is closer to 15% and even less during SC23/SC24. He also had no answer for the McCracken Graph I posted? The time integral of solar activity and ocean oscillations [which are also driven by solar activity] can explain 95% of climate change over the past 400 years..
… are all wrong? Even though the indications from satellite operators concur well with the calculations of the thermosperic changes tracking solar radiance change. If temperatures do show any signs of a decline in the years ahead the ‘constant TSI’ believers won’t be able to blame the Sun. “The old records are not reliable” “Modern” techniques record lower results then the old ways did. We KNOW that the Real Data can not change therefore, we have adjusted the old records so they match the new ones. Proving that the Solar output does not change!! Has their paymaster demanded these results? Or do they believe we are all stupid fools. They will have choices. Change their minds. Die in error. Has the original record been removed from the net? I would suggest simply disregarding whatever they’re trying to do …unless they try to FORCE the issue: The real evil would be if they try to deny access by wiping the CLEAN original records off a DIRTIED net. Even if they stop updating the earlier versions, that’s a crime; that would confirm that they INTEND to be as sleazy as possible. Instinct: I don’t trust these people. I do suspect they’ll try to make SURE people can NO longer use the clean records. These characters seem primarily concerned with TELLING people what to think and I suspect they’re going to go out of their way to PREVENT alternatives like independent critical thinking. The central theme in their campaign is CONTROL. We shouldn’t have to worry about TERMINATION OF ACCESS to the clean sunspot number record — nor ERSSTv3b at KNMI Climate Explorer. All the records should just be there side-by-side. What’s so hard about that??? You see? Just keep all of the UPDATED records there in parallel. We need to aggressively test how WEASELLY they get when we make that SIMPLE, EASY suggestion. WHY CAN’T YOU JUST KEEP ALL OF THE REGULARLY UPDATED VERSIONS SIDE-BY-SIDE IN PARALLEL? The answer OF COURSE is that there is NO GOOD reason why they can’t. There’s only a BAD reason and that’s SHAMELESS POLITICAL ACTIVISM along with a pathologically merciless intent to thought police. They’re outrageous and they’re attempting a reign of terror. We have to live in fear of destruction of that which is clean & pure to make way for enforced occupation by that which is dirty & sleazy. …and let’s all remember that wuwt strongly supports these peoples’ bid to ASSUME CONTROL. It becomes an order of magnitude more creepy if they try to argue on some administrative grounds that CLEAN records should not be updated and kept openly accessible in parallel. Watch for TELL-TALE weaseling that the goal is not only to control what the public thinks but also TO PREVENT the public from having the option to think critically & independently. It’s a SLIPPERY slope if we lose the right to access regularly updated clean records. It’s enough cause to set up an NGO watchdog funded by wealthy patrons. The goals I’ve outlined above are EASILY achievable if pursued by capable staff with sufficient resources. We CAN keep history revision in check. I suggest that someone found an organization with membership, newsletters, whatever. It will be a slippery slope if the the thought police are allowed to block access to UPDATED clean records. Someone had to say it like this to jumpstart cleaner thinking about what we should and should not accept. That’s based on smoothing interannual variations. It’s 94% after (instead) accounting for ENSO & BDO. 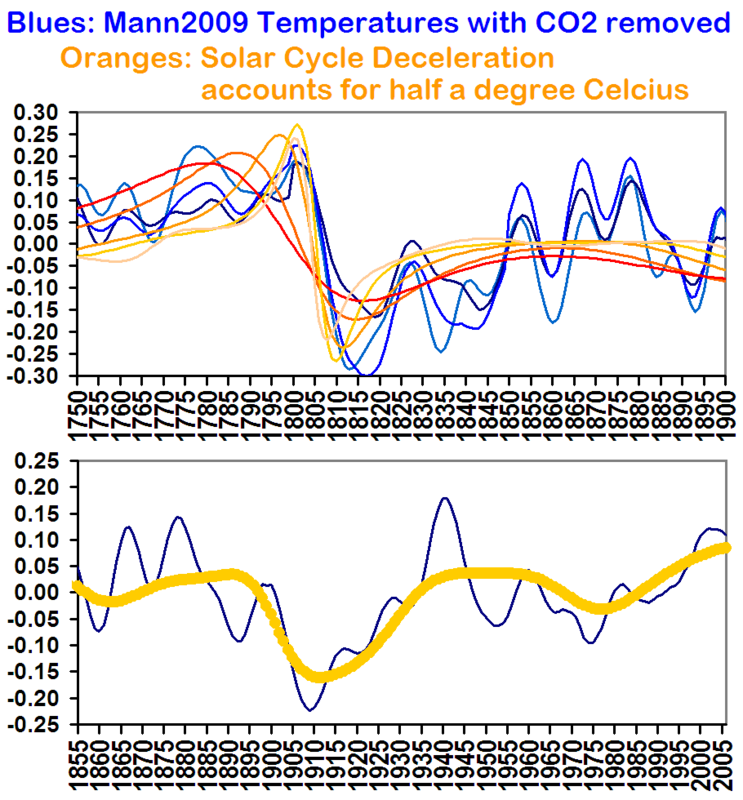 The “ocean oscillations” are paced by solar cycle deceleration. It’s dead simple and it depends ON NOTHING OTHER THAN SIMPLE HEAT ENGINES (semi-annual equator-pole & annual interhemispheric). They can try to run but they can’t hide from something as simple as heat engines. The residual 6% bears NO resemblance WHATSOEVER to CO2. All the stuff we hear about CO2 is theory. The observations don’t support it. This suggests false assumptions in the theory. Folks: A network of volunteers isn’t going to be able to keep these people in check. They’re too sophisticated. A powerful NGO is needed and it woN’T work if staffing gets corrupted by patronage appointments. With the right staff it will be possible to give mainstream climate science a merciless schooling. I propose basing the NGO in my hometown where we can better access reliable Chinese talent & expertise. [reply] are you in China? They will stand up and say ‘Our data says…blah blah’ knowing that most of the public won’t know anything about the history, origin etc. of such data. Or if the public do know something, they’ll just say – as we already see – that it was full of errors and they ‘fixed’ them. No, it’s here – up to cycle 20 only for the ‘old’ version (i.e. 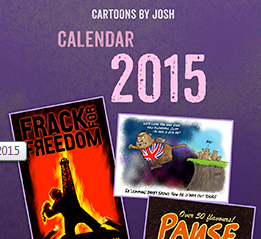 pre July 2015). There will come a point where “reality” and fact are so divergent that covering will be near impossible. It will be a scandal. We are a ways from there. Five to ten years. My take on Leif’s sunspot revision is garbage in ,garbage out. Meaning it does not matter as far as proving or not proving a solar/climate connection. What will matter is how the sun varies going forward and what kind of a climate reaction occurs. Changing past sunspot records is meaningless just like the manipulation of past temperature records. We in the know, know better then to go for their BS. Ice cores from the Freemont Glacier in Wyoming show it went from Little Ice Age cold to Modern Warming warm in the ten years between 1845 and 1855. Looks like the warming out of the Little Ice Age was not exactly smooth but instead was a jump. In terrestrial records from Central and Eastern Europe the end of the Last Interglacial seems to be characterized by evident climatic and environmental instabilities recorded by geochemical and vegetation indicators. The transition (MIS 5e/5d) from the Last Interglacial (Eemian, Mikulino) to the Early Last Glacial (Early Weichselian, Early Valdai) is marked by at least two warming events as observed in geochemical data on the lake sediment profiles of Central (Gröbern, Neumark–Nord, Klinge) and of Eastern Europe (Ples). Results of palynological studies of all these sequences indicate simultaneously a strong increase of environmental oscillations during the very end of the Last Interglacial and the beginning of the Last Glaciation. This paper discusses possible correlations of these events between regions in Central and Eastern Europe. The pronounced climate and environment instability during the interglacial/glacial transition could be consistent with the assumption that it is about a natural phenomenon, characteristic for transitional stages. Taking into consideration that currently observed “human-induced” global warming coincides with the natural trend to cooling, the study of such transitional stages is important for understanding the underlying processes of the climate changes. At one point when arguing with L.S. at WUWT, in exasperation I suggested he take up the matter directly with Dr. Niv Shaviv. He never did. Interesting that L.S. is only seen at WUWT. One would think keeping the luck warmers on the straight and narrow path was a paid assignment and not a willing activity on his part. [reply] that might imply something about WUWT, no? In looking at Dr. Shaviv’s figure 2 and figure 3, It would seem there was a bit of a sudden increase in solar activity in the mid 1800’s Perhaps that explains the sudden warming shown in the Freemont Glacier. This graph supports that perhaps – the 1960 part at least. Of course those who think the whole sunspot record is ‘flat’ or whatever wouldn’t agree. The major problem is after July 1 2015 the old method of counting spots is no longer recorded. So there will be no way of continuing the V1 record. Of interest as seen on my comparison graph earlier is the moving conversion factor applied after 1981, I am wondering how they will now keep the V2 records homogeneous as they supposedly won’t need a conversion factor anymore? The V1 record is dead. We have been told what record to use. oldbrew, If you look at cycle 9? (~1840) and apply Dr Evans Notch Delay solar theory (11 year delay) you come out with the sudden temperature change from the Little Ice Age to modern temps around 1845 A.D. as recorded in the Upper Fremont Glacier. No wonder L.S. wants to stomp all over that record! The attacks on you, Steve Goddard and on Dr.Evan were more than I could stomach. As long as we are on the subject of L. S. He is at the same school (Stanford) as Paul R. Ehrlich, co-author of Eco-science and The Population Bomb. Ehrlich has now dived deep into Alice’s rabbit hole. Paul Ehrlich and others use highly conservative estimates to prove that species are disappearing faster than at any time since the dinosaurs’ demise. here is no longer any doubt: We are entering a mass extinction that threatens humanity’s existence. That is the bad news at the center of a new study by a group of scientists including Paul Ehrlich, the Bing Professor of Population Studies in biology and a senior fellow at the Stanford Woods Institute for the Environment. Ehrlich and his co-authors call for fast action to conserve threatened species, populations and habitat, but warn that the window of opportunity is rapidly closing…..
Well now we know what balloon the Alarmists are going to try and float next. Don’t forget that Obummer’s Science Czar was Ehrlich’s co-author on those two pieces of horror fiction. I’ve been waiting for years to observe people starting to clue in. Whether by accident or design, the wuwt thought-policing mission increments people towards the creepy US climate agenda (really an economic & security agenda). You don’t need a conspiracy where a carrot will suffice? I would suggest that conspiracies and carrots are factors in this case. The narrative promoted at wuwt requires violation of one or both of the laws of large numbers & conservation of angular momentum. That’s too creepy. I can only wish things were going that well! …but at least 1/3 of our population here helps make it feel like home. They’re some of the best. In spirit: Yes. “The major problem is after July 1 2015 the old method of counting spots is no longer recorded. So there will be no way of continuing the V1 record. Of interest as seen on my comparison graph earlier is the moving conversion factor applied after 1981, I am wondering how they will now keep the V2 records homogeneous as they supposedly won’t need a conversion factor anymore? I reject the coercion about what record to use. V1 isn’t dead. For now it’s being hidden by some rude people with a political agenda …and that’s not acceptable. It’s the people — not the record — that are DUE FOR CORRECTION. …and that’s just not cool. That’s what the record shows. Remember that ERSST PCs 3 & 4 are interhemispheric contrasts. I had my own personal troll chasing me for years every time I brought up the fact CAGW was political and the goal was Agenda 21. At least I managed to get that concept accepted at WUWT. WUWT even put up Dr. Ball’s Overpopulation: The Fallacy Behind The Fallacy Of Global Warming in January 2014, although the reception was mixed. Then after that it’s down to subtleties (demanding advanced audience). Mainstream statistical inference assumptions are patently false. The semi-annual equator-pole & annual interhemispheric heat engines do not have the falsely assumed stationary variance structure. The high frequency component bounded by the bidecadal J-S envelope is 0.54243476 years. Mainstream climate “scientists” should first explain the celestial origins of QBO. Gail, I don’t know anything about “Agenda 21”, but I do know that NATO & Russia (due to geography) are particularly vulnerable to solar cycle length change and I can see how this might convince those responsible for military & economic security of a need to deliberately corrupt geophysical data on purely strategic grounds. It’s posturing. America can’t appear vulnerable to something beyond America’s control (the sun). …But I’m not sure how that would affect — for example — private companies relying on accurate records for applications like GPS …but it would certainly be feasible for motivated parties with adequate resources to explore the impacts. With the geophysical shifts tied to the next harsh change in solar cycle length (and the related domino effects for agriculture, economy, etc. ), a major (global) geopolitical shift will be inevitable unless China, Russia, Europe, & USA do inhumanly-talented cooperative contingency planning. It could be interesting to see how they fare. Western Europe is center stage. The blue curve in that graph and the SCD & SCL curves illustrated above ARE ALL THE SAME CURVE …just looking from different (rotated) perspectives in the complex plane. Mathematically they’re a single entity and they literally DEFINE how ALL terrestrial cycles (known AND UNKNOWN) change beats with the solar cycle. Sunspot & SST vandals can contract me to destroy ALL of these correlations with a single simple adjustment (…that they won’t figure out while stubbornly operating on false assumptions that fail elementary diagnostics). (sarc) Hmm… what possibly could have contributed to ~1800-1820 geophysical instability?? As far as I can tell, Agenda -21 is a mask for a major land grab. The goal is to move everyone into tiny apartments in cities with no transportation. This is a quick explanation link. Your food is limited to a hundred mile radius of that city. Now add a LIA or the big drop and you have starvation and death because the city types have no skills and no transportation. Just to make sure they die you have ‘Pleistocene Rewilding’ planned with Asiatic cheetah, Asiatic lion, African lion, the Siberian tiger and dhole. The Red wolf, Coyotes, Panther and Melanistic leopards have already been introduced in my area. Just the rumors will keep the city types in the cities killing each other instead of leaving. I am very sure the Elite are well aware that CAGW is a giant hoax and are busy sucking up as much wealth as they can and transferring that wealth, factories and technology to more equator-ward climes. CAGW is a really great excuse for confiscating farmland in Mexico, South America and Africa. “Interdependence” is a great excuse for the technology transfer from the USA to China. Chasing the Dragon: Clinton’s China Policy describes the wholesale sellout of the USA by Clinton. Just add in his signing the World Trade Organization treaty, getting China into the WTO and the five banking laws that crashed not only the USA but the world economy in 2008 and he should have been brought up on charges of treason and hung. Yet his wife is now running for president. On top of that you have the current US president and MSM stirring up racial tensions, race baiting, military build-up of the police, organizing of the police under the Department of Homeland Security and the planned coal plant shutdowns mainly along the heavily populated east coast. All you have to do is look at history to know what will happen with a poor economy and high racial tension when the lights go out.. The entire city of New York was blacked out, parts of it for more than 24 hours. 1,616 stores were looted or trashed, over 1,000 fires set, 550 police officers were injured and 4,500 looters were arrested. Looting and vandalism was estimated at $300 million. Once the cities are burned out messes you move on to what is happening in Christchurch NZ. Confiscate ALL property and rebuild an Agenda 21 type city. In the mean time you have gotten rid of a lot of useless unproductive population without cutting social services and you have taken over the government (martial law) and done away with democracy. Gail, wuwt is corrupt. Just walk away. I prefer it Paul if the door was left ajar unless there is clear evidence of wilful misbehaviour. You probably mean you think they are misguided or mistaken, whoever they might mean. The possibility exists that a subtle tightrope is being walked too, I won’t explain in public. I guess WUWT became as it is from growing stale, there is only so much of the same before that happens, same this place. Also remember Watts is probably exhausted, it gets harder as you get older. Diplomacy. The effect of name calling is chilling on serious people who matter, a reason why for example this site is so rarely referenced in the public media.